Retro is the new fashion. Rado releases the HyperChrome Captain Cook collection at Baselworld 2017. A reinterpretation of a Rado watch collection from the 1960s, the new HyperChrome Captain Cook family offers three variants in the collection. This collection stands out for its honest homage of design cues both from the brand and also other popular models in the 60s. 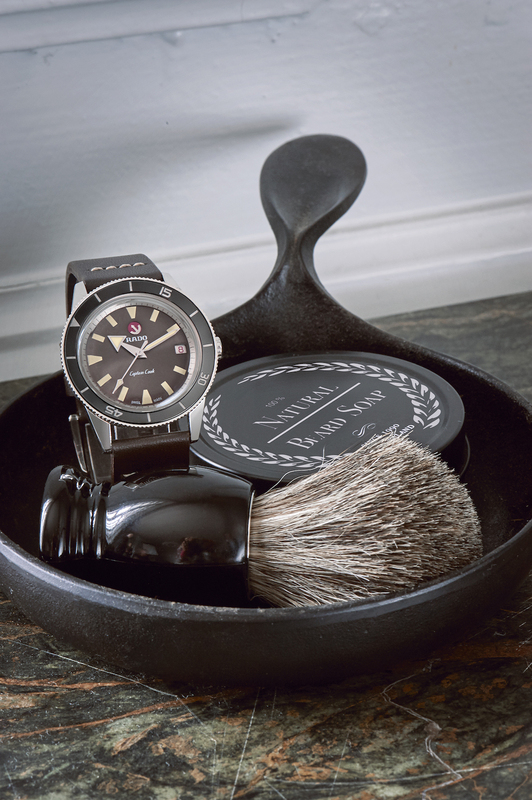 Namely a case design reminiscent of Blancpain’s fifty fathoms and sized accordingly at 37 mm on the 100 m water resistant model. The 200 m model in titanium and blue dial stands at 45 mm. 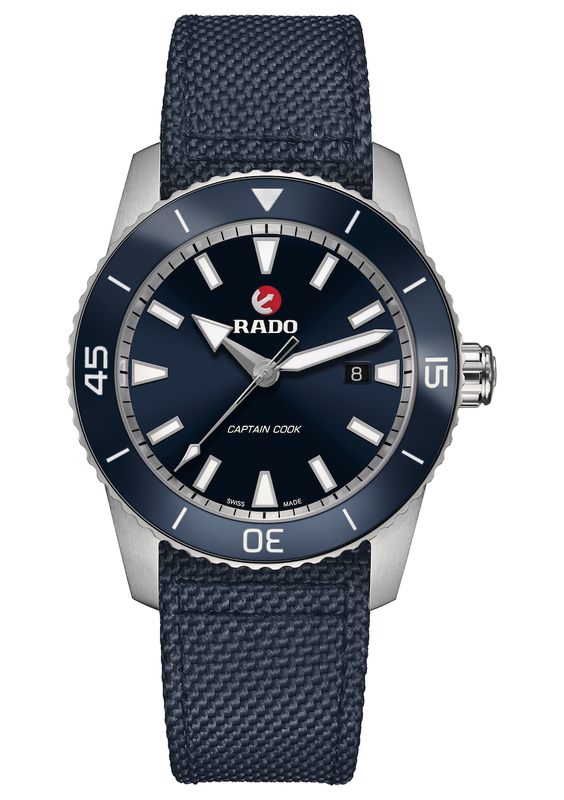 Rado HyperChrome Captain Cook with a black sunburst dial, sized at 37.3 mm in diameter. The collection is named after 18th century British explorer Captain James Cook, who charted thousands of miles of hitherto unexplored coastline in the Pacific, bringing with him a wide-ranging, mostly self-taught knowledge of cartography, anthropology and astronomy. Vintage case design with a box shaped sapphire crystal glass, patina lume, but with Rado’s modern ceramic bezel. 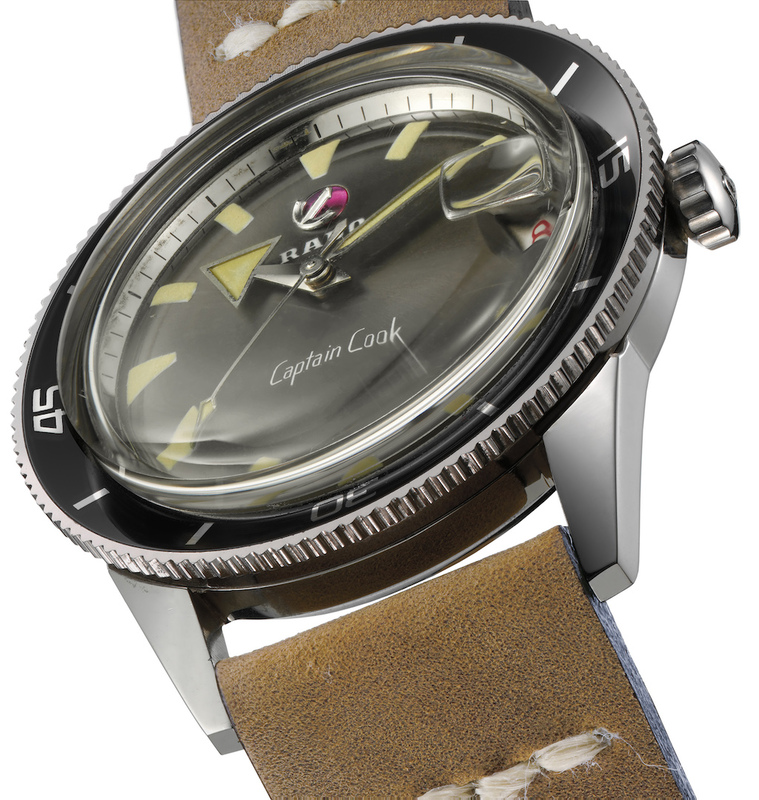 The watch measures 37.3 x 43.1 x 11.1 (WxLxH in mm), a rather slim profile for a dive watch. On its dial, sits oversized indexes and chunky arrow-shaped hands. A rotating bezel in high-tech ceramic and stainless steel or titanium combine to give the Captain Cook an unmistakably playful aesthetic. 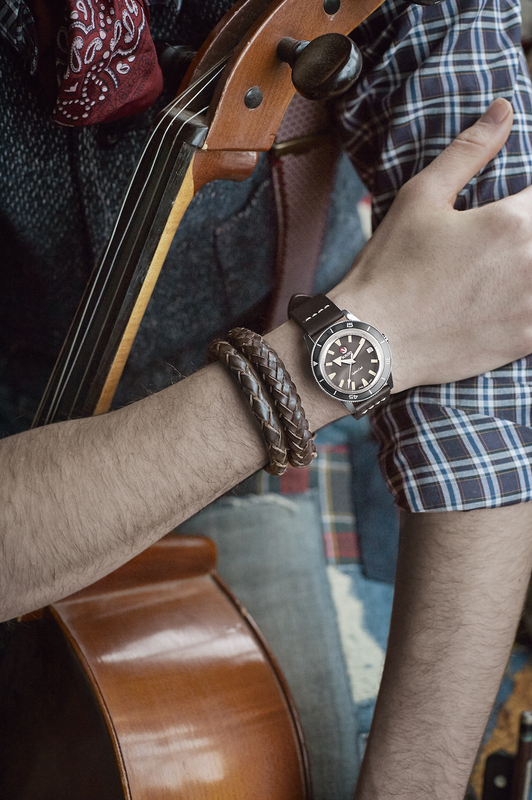 The Rado HyperChrome Captain Cook is fit with a brown vintage leather strap with a stainless steel pin buckle. The Rado HyperChrome Captain Cook uses the 11 1⁄2 ETA C07.611 movement, an automatic 25 jewels movement with up to 80 hours power reserve. The movement is one of ETA’s latest movements that was also seen in another variant on the Tissot Powermatic 80. This particular variant is a limited edition with a special engraving on the case back: LIMITED EDITION ONE OUT OF 1962. The watch in white, with a silver coloured dial with 8 diamond hour markers, 1.25-1.30, Top Wesselton, VS-SI, full cut, 0.064 carat. 45 mm in titanium with a blue dial. The larger cased version has a water resistance of up to 200 m.